Angela Kavounas began to think about a profession in physical therapy when she was in high school and observed her mother’s recovery of a broken hand with the help of occupational therapy. She earned her Bachelor of Science degree in Sports Medicine from the University of Virginia and her Master of Physical Therapy from Virginia Commonwealth University. Currently she is working to complete her Doctorate of Physical Therapy at Shenandoah University. 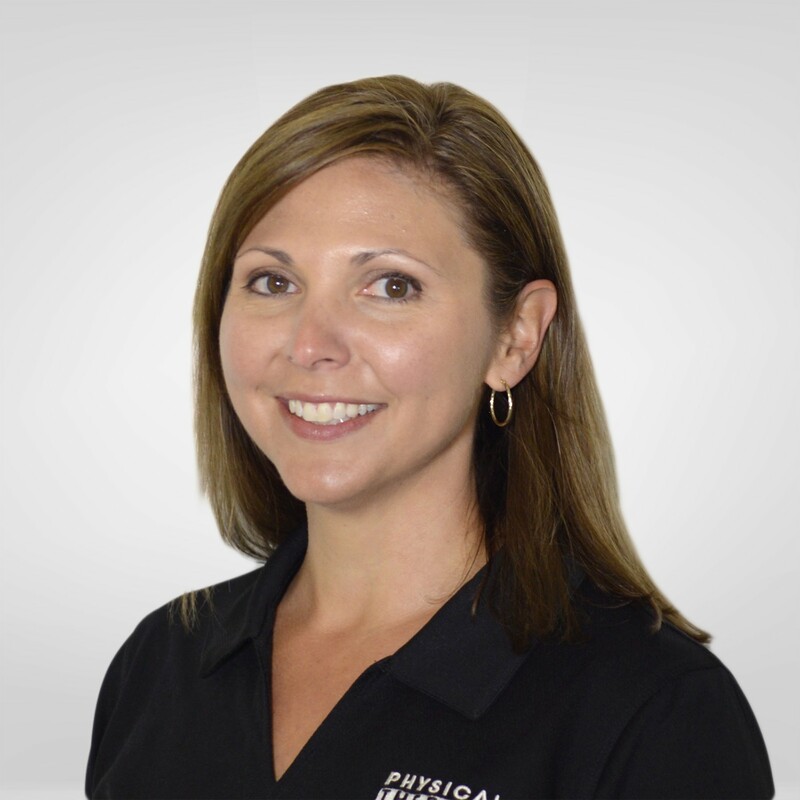 She specializes now in orthopedic foot/ankle injuries including custom orthotics, gait assessments, biomechanical evaluations of the lower extremity, shoulder pain, postural syndromes, impingement and RC syndrome. She also treats sports medicine injuries of the hip/knee and foot/ankle. She enjoys working with patients suffering from overuse injuries as well as post- surgical diagnoses to restore strength, balance and function, especially of the foot and ankle. Her particular area of expertise as well is the biomechanics of gait and gait analysis and how this affects pain in the foot, knee, hip, spine and shoulders. She treats a variety of diagnoses from plantar fasciitis to rotator cuff syndromes. Angela also fabricates custom orthotics. When she is not working she enjoys exercise, reading, spending time with her family and the beach and the lake, and watching her children grow up.